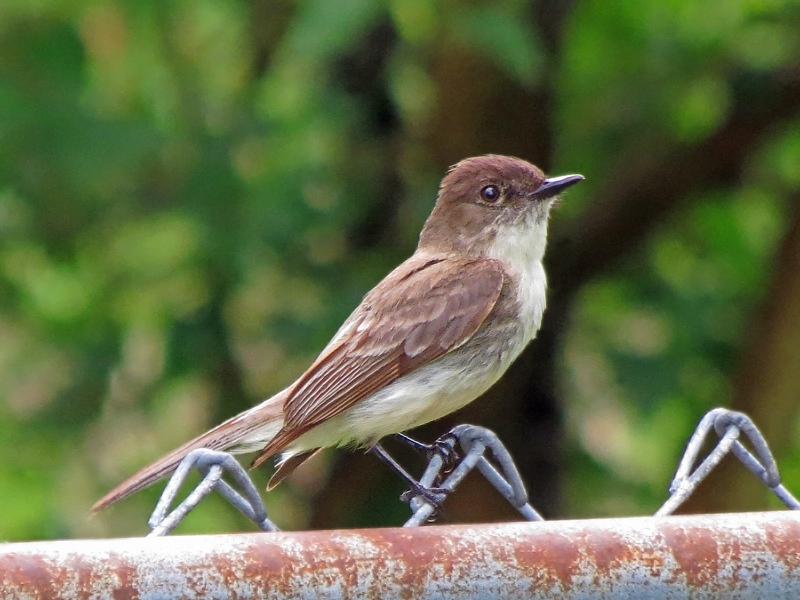 This Eastern Phoebe was photographed on Greer Creek Road, Marshfield, Missouri. 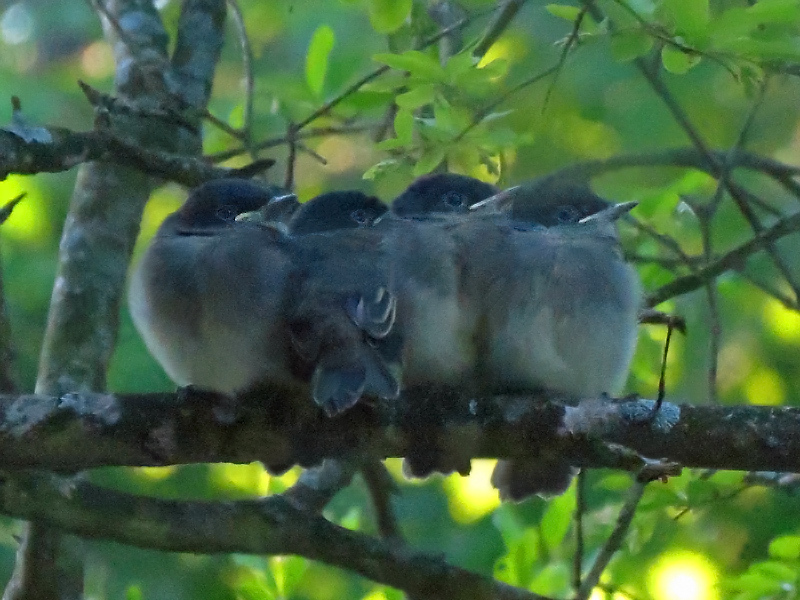 These immature Eastern Phoebes were photographed on a bush outside our ding room window as they were being trained for flight and feeding. The Easter Phoebe is a gray-brown sparrow sized flycatcher without an eye-ring or strong wing bars with a white chest and a flattened black bill. It has a range of East of the Rockies in the United States and from Central Canada to southern United States. It has a habitat of streamsides, bridges, farms, woodland edges, and roadsides. They feed on mostly insects, by watching from a perch and flying out to catch them, and some berries. 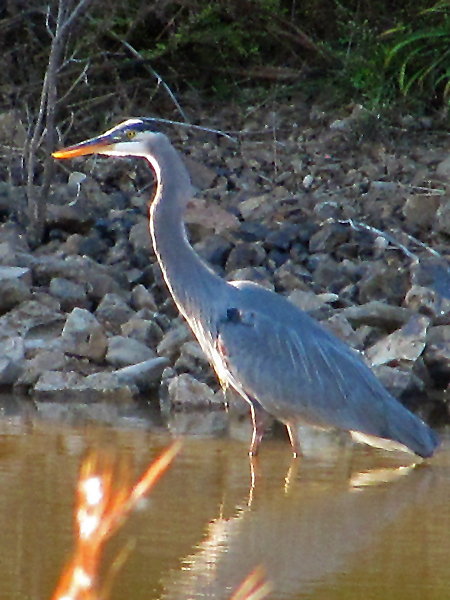 It can be noted as it is perching with a bobbing tail, and it has a sharp chip sound. It is one of the earliest migrants that spring is at hand. 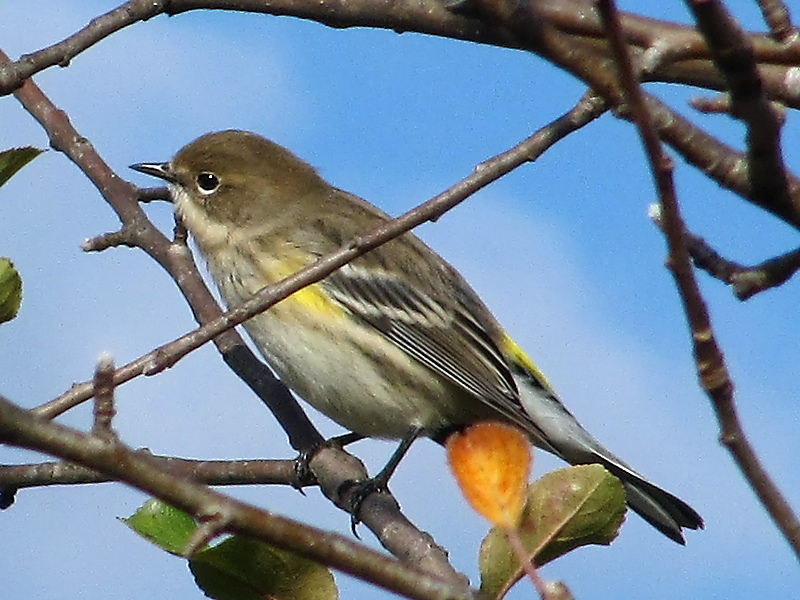 I only see the Yellow-Rumped Warbler in the spring or fall when they migrate, so have to be ready to get a photo when first seen. They breed in upper states and Canada, and are in the lower states in the winter. They are noted by yellow patches on the crown, before each wing, and on the rump. 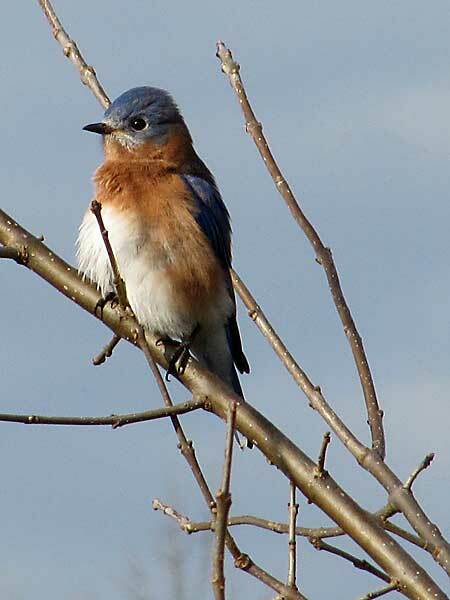 The Eastern Bluebird has a range east of the Rockies from Canada to the Gulf coast. During the right time of the year they are fairly easy to find and photograph. The American Robin is the most familiar of the birds. The tyeep, and tut-tut-tut voice are easily recognizable. 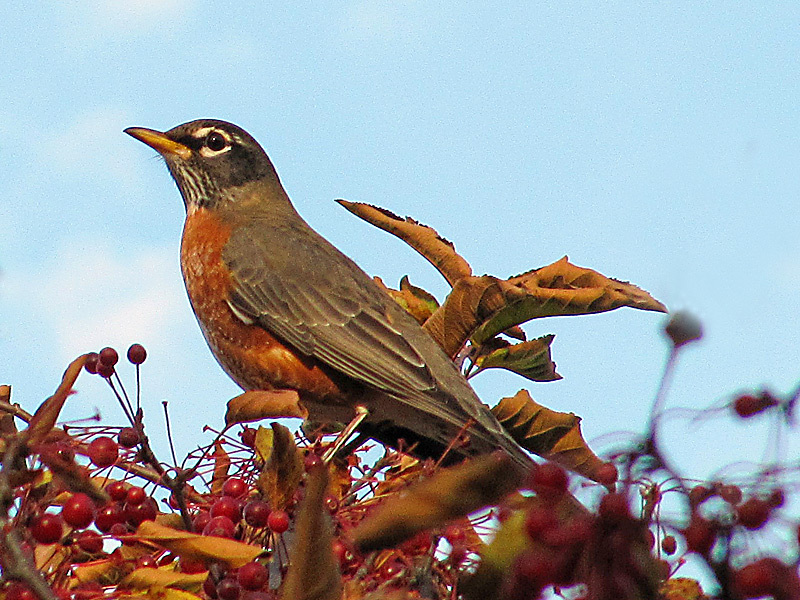 The American Robin’s range covers most of North America.